Prince Carl Philip and Princess Sofia are delighted to announce that The Princess is expecting their first child. The birth is expected to take place in April of 2016. "We are so happy and excited to announce that we are expecting our first child. 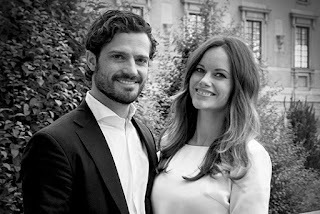 We are very much looking forward to it," says Prince Carl Philip and Princess Sofia. No changes in the schedule of The Prince Couple's public engagements are planned during the fall of 2015. Crown Princess Victoria is expecting her second child in March.